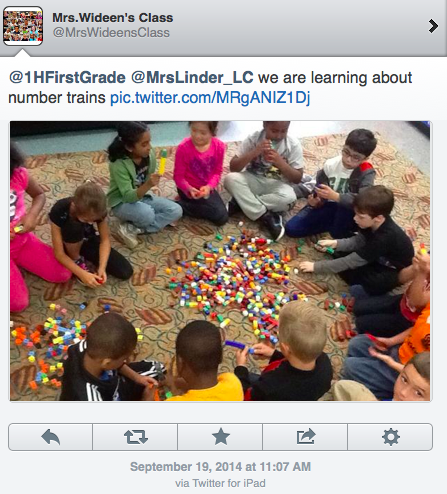 Students created number trains with linking blocks. 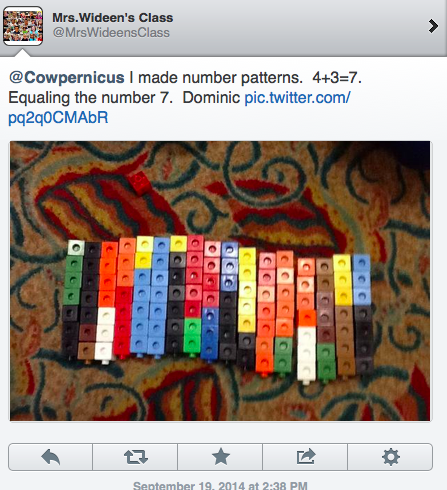 I had students sit in a circle as I poured out hundreds of linking blocks onto the carpet. I would yell a number and partners had to make as many number trains as they could that equaled the number that I yelled out. Students then were given a number and had to make as many number trains as they could that equaled the number I gave them. When they finished their trains they took a picture and tweeted it out. Students learned about fact families. 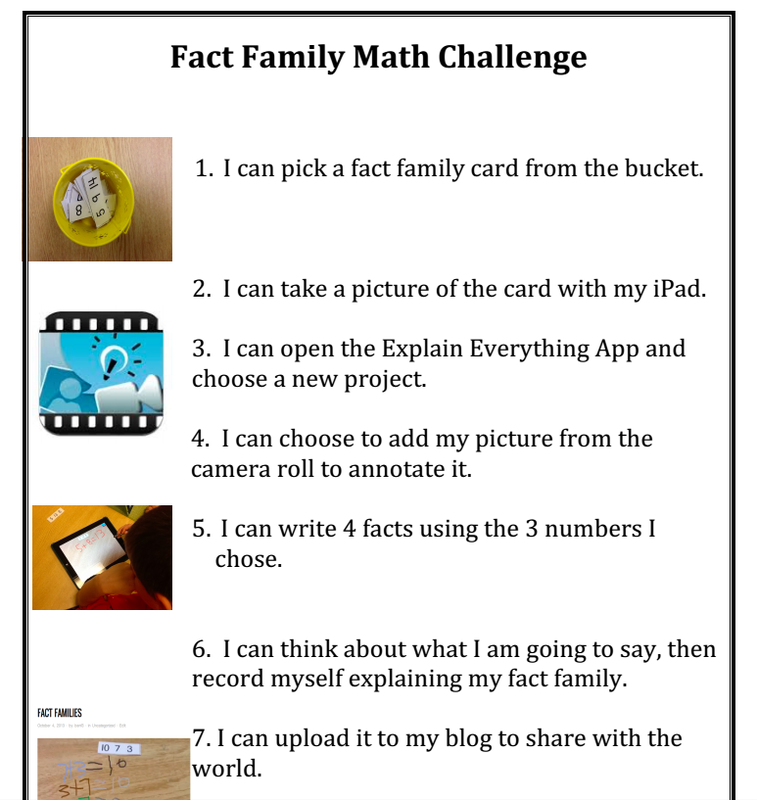 Pairs of students were given an iPad task card to complete a task and were instructed to put it on their blog when they were finished. 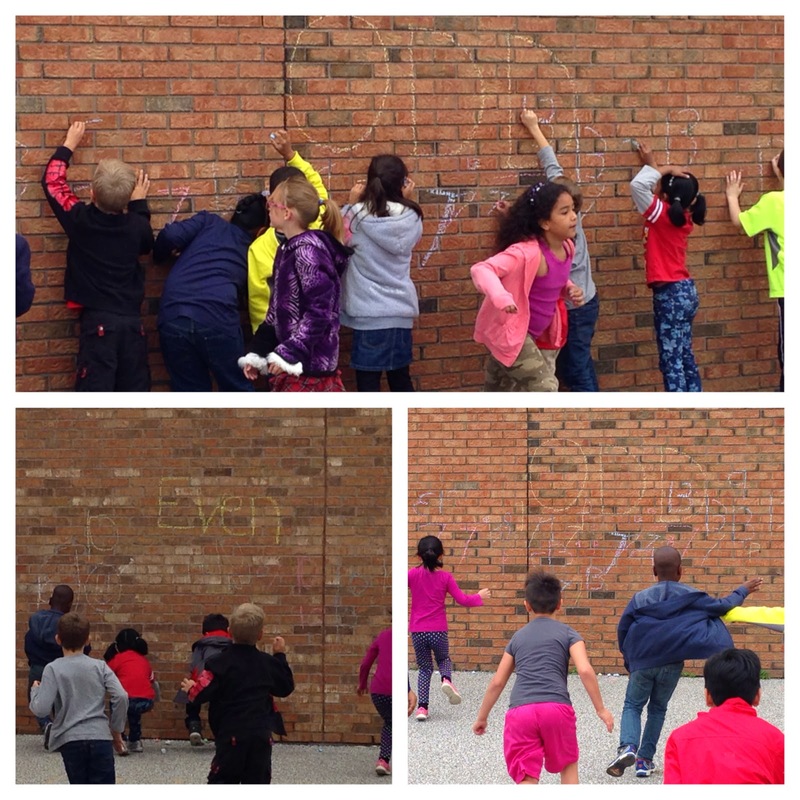 I took the students outside for a quick game of "Even Steven and Odd Todd" I wrote Odd on one wall with sidewalk chalk and the opposite wall with Even. I then placed chalk at both walls. I had my students stand in the middle and I called a number. They had to yell out, "Even Steven" or "Odd Todd" depending on the number I called out. When they got to the correct wall they used the chalk to record the number on the wall. We then headed indoors to learn about the strategy of doubles plus one. We did a quick whole class lesson and then I gave students an odd number of counters. I asked my students to circle the doubles and leave one left over. I also asked them to create a number sentence to go with their picture. Love the math cards! Great post. Thanks for the inspiration! I hate teaching out of the math book. My students don't get it until I make it fun for them. How do you even think of such possibilities! Kudos.